“Bay City Rollers icon Les McKeown is back on tour, bringing his fantastic show to FTH Theatre !!! Les McKeown’s Bay City Rollers promises to be a unique voyage back to the 1970s, when Les and his Legendary band ruled the world’s pop charts and The Bay City Rollers’ music became the soundtrack for a generation of teenagers. Les brings back the all the thrill and excitement of Rollermania, performing all the original hits including Bye Bye Baby, Shang-a-Lang, Remember, Summerlove Sensation and Give A Little Love plus many many more as well as introducing new songs from the new album “Lost Songs". 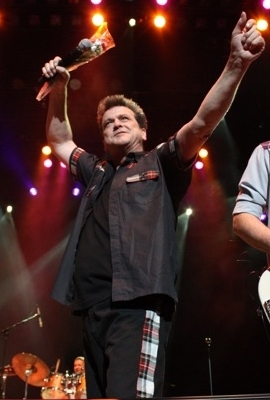 Les McKeown’s Bay City Rollers bring a new energy to all the classic hits.